I’m going to need more than one day. 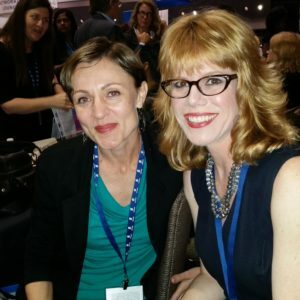 That was the first thing I thought the minute I, and over 5,000 others, walked into the Santa Clara Convention Center for the inaugural Lead On Conference for Women in February. Waiting for me in the heart of the Silicon Valley was an outstanding lineup of one hundred+ speakers, brought together to “promote leadership, professional development and personal growth,” thanks to the forward-thinking females at Watermark Institute. The list included tech industry leaders, best-selling authors, innovators and entrepreneurs—women like fashion designer Diane von Furstenberg, Stella & Dot founder Jessica Herrin, former New York Times Executive Editor Jill Abramson, Intel’s Rosalind L. Hudnell, research professor Dr. Brené Brown, and Before I Die Project creator Candy Chang—and that was all before former Secretary of State Hillary Clinton’s luncheon keynote address! I covered the one-day event for lifescript.com and I was certainly in good company. With this many high-profile overachievers under one roof, and the possibility that Secretary Clinton might announce her 2016 Presidential run, everyone from CNN to the Huffington Post to the New York Times was front and center. While Revere Digital co-CEO and well-respected tech journo Kara Swisher masterfully led a Q&A with the Secretary, getting her to discuss “partisan bunkers”, Edward Snowden and whether she uses a fitbit (she doesn’t). But she only got an “all in good time” response regarding a run for the White House. 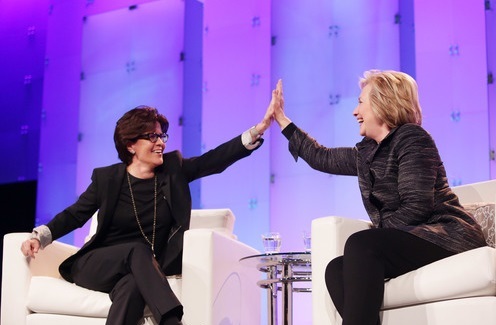 At the end of the day, by having leaders like Secretary Clinton speak, Watermark’s take-home strategy gave the audience “insights and practical advice” for their careers, life and relationships. There was no shortage of either. And Diane von Furstenberg, wrap-dress icon and “comeback kid” at age 50, said, “to be a woman is a privilege. Women should have an identity outside of the home.” She also said don’t waste any time because your present is all about building on your past. In between keynote speakers, there were networking breaks, author signings, meet-ups, social media roundtables, expert exchanges, and breakout sessions. (Now do you get why I wanted another day?) There were even several TWE radio guests serving as panelists including Gloria Feldt and Victoria Pynchon. As the hours quickly ticked on, several hot-button issues and themes emerged: Lean in or lean out? Where are the childcare solutions? Why no equal pay? How do I deal with gender inequality? Can I find balance? Many of the sessions tried to tackle these questions. Former Wall Street equity investor-turned-Akoya Power CEO Vanessa Loder led a panel called “Breaking Through: How to Overcome Fears, Inertia, Gender Bias and Other Obstacles.” She said events like this allow her to inspire other women and show, by example, how to move through fear. Sugar told me she was fortunate to be able to create her own unique path with the POPSUGAR web brand; Lead On let her teach others how to do the same. “We all have our passion. We just need to be able to find it and follow what works best for us,” said Sugar. My takeaway from her successful journalism career? It pays to be daring. “Every time I feared I would dare, I would take a risk. And that would make me feel stronger that I actually turned anxiety into action. Of course, often I would stumble or fail but it would make me stronger because of having taken the attempt and something good would always come out of it,” says Sheehy. 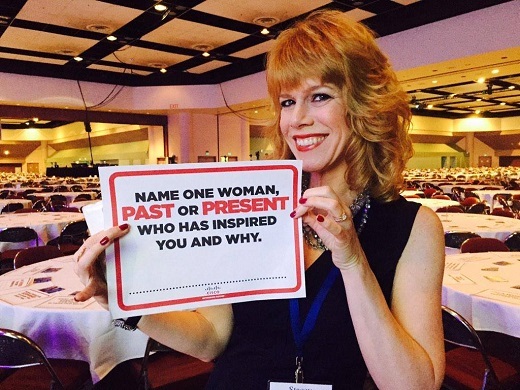 When the conference began, I was asked, “Name one woman, past or present, who has inspired me and why.” Well, not only did I need more than a day to see and hear everyone, I needed to name more than just one. But after Lead On, it was refreshing to know there are so many women to choose from. And while I still don’t know if Hillary Clinton wants to lead the country, one thing I do know: I’m that much closer to leading a more inspired life.